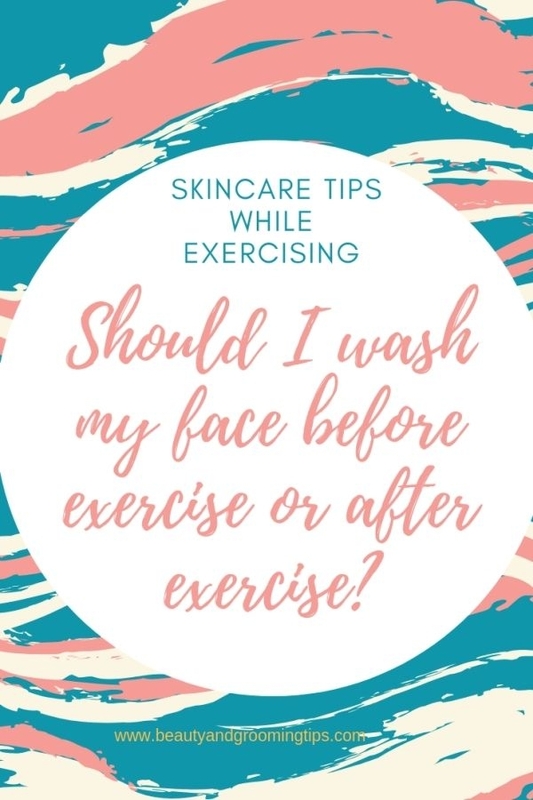 I had always thought that it's not important to wash one's face before exercising and always preferred to do it only after I was done with exercise. But a valuable tip from Dr. Neal Schultz (DermTV) enlightened me that it's far more important to cleanse your face thoroughly before a workout than afterwards. Dr Schultz says: "A thorough face wash before you exercise (as opposed to after) is the best way to keep your facial skin clean. When you sweat during your jog, yoga class or any other activity, you don't usually think twice about wiping the sweat off your face. But, if you haven't washed your face before your workout, all the dirt, oil and debris you've been carrying around on your skin all day gets ground deep into it, clogging pores and causing blackheads. However, there is nothing about sweat that causes breakouts. The sweat you produce is simply water, salt and urea (a great moisturizer). So instead, if your face is clean before you workout, there is no dirt to clog your pores, and a splash of water after you exercise is all you'll need to feel fresh and know that your skin is clean." Dr. Schultz further advises that it's best to wash the face with water that's neither too hot nor too cold, but with water that's just lukewarm. He says that washing with hot water causes unnecessary over-drying of the skin, while washing with cold water tends to leave a residue of soap / cleanser, promoting clogging and decreasing luster. Another interesting suggestion that he makes is not to splash your face with cold water at the end of your wash to close the pores. He says that, if it even closes them, as we now know, the price you'll pay is increased clogging and larger pores. hi dear,i also have oily skin..its very troublesome for me to manage it but i don't use anything because i don't know anything about skin care!! can u suggest me any good and economical cleanser,toner,moisturizer for oily skin?? and can u tell me which best face packs,facials,facial masks and creams that i can use? and when these should be used? can u suggest me a good beauty regime that i can follow?? plz do me this favour!! Thanks in advance!! I love love love these FACTS. Each face, please make sure wash your hands. Solution or by washing hands with soap (and sometimes business trip ah) wash their hands full Qingrou (palm and back of the hand) 30 seconds, and then handle the flow of clear water rinse, which can begin after the wash.
@Sweety, I'll be posting a detailed article about this soon. Meanwhile why don't you browse through the oily skin category, You will find almost everything from natural homemade masks, scrubs, toners, astringents and a few products that I have used for my greasy skin. Thanks for this information I will pass it on. Great topic---something we want to start researching!!! THANK YOU SO MUCH APARNA for the advice!! i will for sure read all the articles under oily skin..i'm looking forward to your article!! thanks in advance once again!! This is a very good point, I never thought about it before. Thank you for the information. Wonderful suggestion! You learn something new every day. Good information , thanks ! !